Chilling, brutal, addictive – if you like Tim Weaver and James Oswald, you will LOVE James Nally. 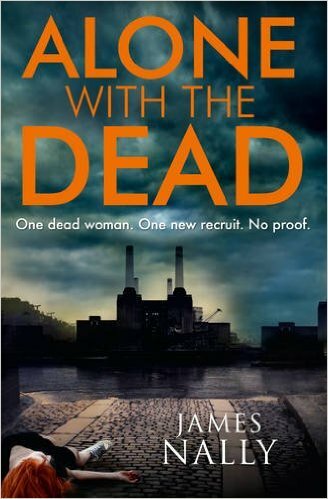 I’m very pleased to be the second stop on James Nally’s blog tour for ‘Alone with the Dead’ and also equally pleased to report that it’s two thumbs up from me for this new crime fiction author and his new cop on the block. A great mix of police procedural, backtracking to a past that has and continues to haunt its central character and the feeling that this is simply the beginning of something great. I must confess that initially I though the supernatural elements within the book were going to get bigger and risk swamping the crime sections and potentially change the feel of the book. This wasn’t the case, I’m pleased to say in this instance, as it leads me to think that what the author has done is laid down suitable ground-work here for the continuation of PC Donal Lynch’s future story arc, both in terms of his troubles with the dead and the troubles within his own past in books to come. The theme of a cop haunted by the ghosts of crimes yet to be solved is, of course, not something completely new, but this is a refreshing and interesting spin on that idea along with clear medical and psychological reasons as to why Lynch might have the ‘gift’ he seems to have. 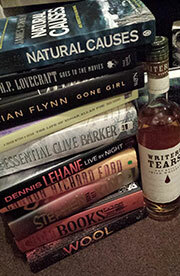 And, like PC Lynch, I also got to the end of the book with more than one glass of nice Shiraz – but it wasn’t until after the first glass that I discovered it was the cop’s drink of choice – spooky! And you can get haunted too, by grabbing a copy through amazon HERE.